This year the Cambodia Water Festival, or Bon Om Touk to give its Khmer name, falls on 10 to 13 November. 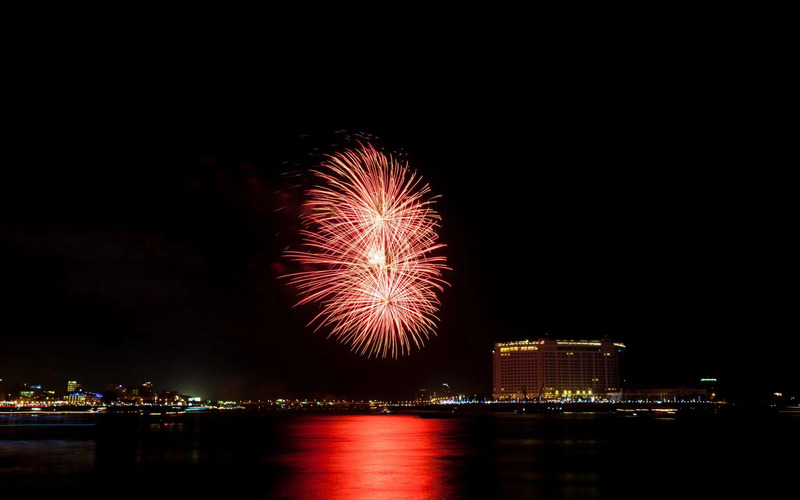 For three days watch as Phnom Penh’s riverside explodes into life with boat races and firework displays in what is one of the most dramatic festivals in the region. During the Cambodia Water Festival, Phnom Penh is flooded with people coming in from neighbouring villages and all over the country seeking to participate in the races and to join in the festive fun. Although this is a great spectacle to watch, it does come with the inherent risk of some danger – particularly petty theft from pick-pockets, so people are advised to leave valuables in their hotel safe. The riverside area is closed to traffic, but as the races run past the central area, it is an easy – albeit crowded – walk. Easily the best way to enjoy the spectacle is from a lofty perch at one of the riverside hotels or rooftop bars, or across the Japanese Friendship Bridge on the Chroy Changvar Peninsula. The Quay and Amanjaya hotels on Sisowath Quay come recommended, and are only 10 metres apart, while Bellevue Serviced Apartments has a great pool where you can lap in the spectacle. Traditionally this is the time when the Tonle Sap river reverses its flow – a unique sight and the waters are high and the current fast. It really is a spectacular sight and a must for anyone who is in the area at the time. For several years the festival was cancelled after a tragic accident leading to the death of over 300 people, but now the festival has reopened. In 2019, it falls from 10 to 13 November. 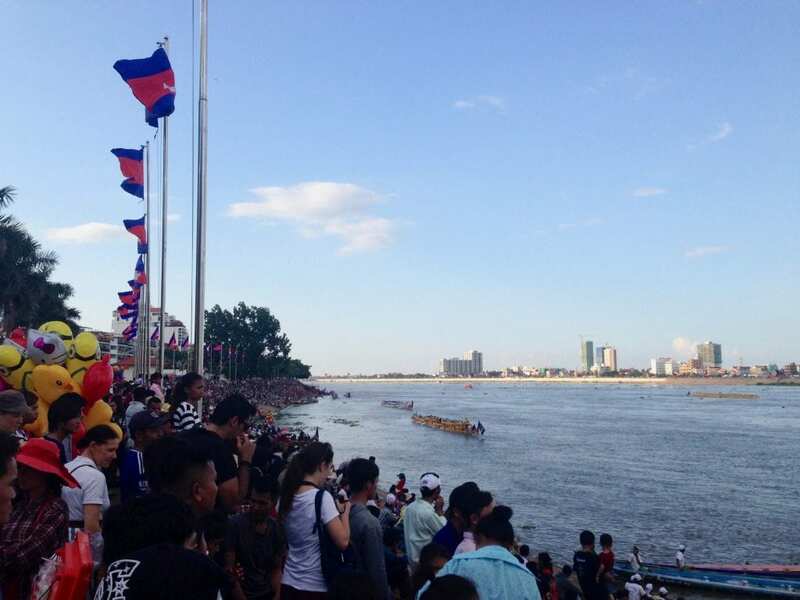 Although Phnom Penh’s rivereside is easily the most spectacular place to see the festival with its numerous boat races, if you are in Siem Reap at the time, you can also enjoy the festival there. Be sure to book in advance, especially if you want to stay on the riverside, although places such as the boutique Plantation are an easy walk from the festivities and will give you a welcome hiatus. If you are looking for accommodation for the water festival, then please consider using our hotel booking portal. It cost you nothing extra but the small commission we make helps with the running of this site. Click to read our comprehensive Cambodia travel guide.